My new book, Supercute Futures has now been published. Available as paperback and ebook in the UK and some other territories. On sale in the US as ebook now, with the paperback following next year. My new book, Supercute Futures will be published in August by Piatkus. The book is set some time in the future, and concerns Mox and Mitsu, two women who own Supercute Enterprises, a gigantic organisation whose promotion of cute clothes, toys and the supercute fairy realm provide some relief from the grim conditions in most parts of the world. 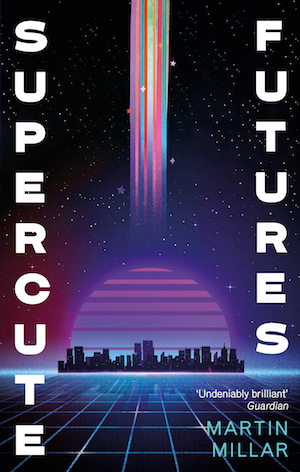 My new book, 'Supercute Futures,' will be published by Piatkus in the UK in August. Mox and Mitsu, owners of the huge Supercute Empire, find themselves under attack by their bitter rivel Moe Bennie. For years they've dominated their ravaged world by having the cutest clothes and cuddliest toys, but now they're obliged to revert to armed violence, something at which they're surprisingly adept. Faced with an overwhelming cyber-assault, hostile drones in the air and mercenaries in the radioactive tunnels below, Supercute are desperately struggling to stay alive, with their empire intact and their make-up in good repair. I've completed a new book, 'Supercute Futures,' which should be published by Piatkus around July 18. 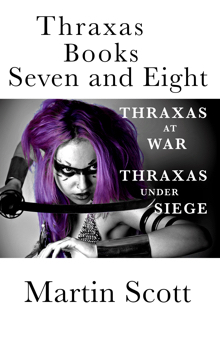 Thraxas books 7 & 8 has now been published as a paperback, meaning the whole series is now available as paperbacks and ebooks. 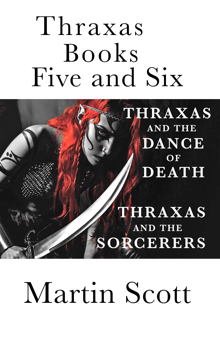 Thraxas continues to come out in paperback. The latest is a single volume containing Thraxas and the Sorcerers & Thraxas and the Dance of Death. Books 1, 2, 3, 4, 5, 6, 9 and 10 are now are available as printed editions. That only leaves books 7 & 8, which will be available soon. 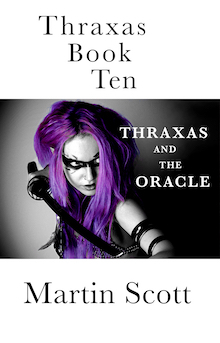 THRAXAS AND THE ORACLE, book ten in the series, has now been published in paperback for the first time. So far, books 1, 2, 3, 4, 9 and 10 are available as printed editions and the rest will follow soon. Meanwhile they are all available as ebooks. 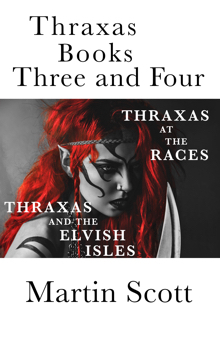 THRAXAS BOOKS THREE AND FOUR are now available in paperback, as a single volume. This volume, containing Thraxas at the Races, and Thraxas and the Elvish Isles, is now on sale at Amazon. 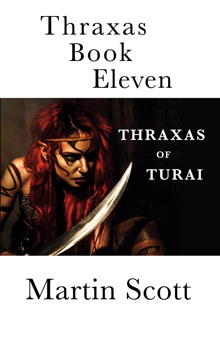 All of the Thraxas series will soon be re-published in print editions. Meanwhile they are all available as ebooks. 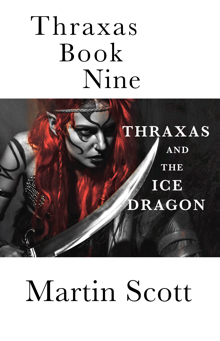 THRAXAS AND THE ICE DRAGON, book nine in the series, is now available as a paperback for the first time. Books one and two are also now on sale as print editions as well as ebooks, and the rest of the series will follow soon. 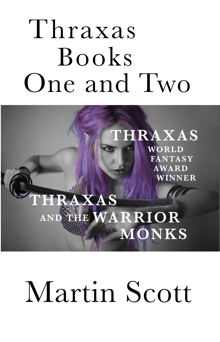 The Thraxas series, available as ebooks, is now being published in paperback as well. The first of these, comprising books one and two, is now available at Amazon. The others in the series will follow soon.